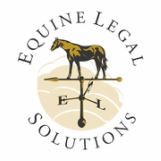 Do I Have an Equine Legal Case Worth Pursuing? As an attorney for Equine Legal Solutions, Rachel Kosmal McCart frequently helps prospective clients decide whether their equine legal case is worth pursuing, and if it is, whether she is the right attorney to represent them. Here is her perspective. Did someone actually do something wrong? Just because someone lost money or was injured doesn't mean they have a legal case. Someone else has to be at fault! Anything that falls into the category of "bad things that just happen to horses" isn't a sound basis for a legal case. For example, if a customer takes a horse to the trainer, and the horse requires colic surgery a week later, that doesn't automatically mean the trainer (or his insurer) should have to pay for the vet bills because the colic happened at the trainer's barn. Rather, the customer would have to show that the trainer did something wrong to cause the colic. How much money did the prospective client lose, and can they easily back up that number? If a horse dies, is seriously injured or becomes permanently lame, the measure of the prospective client's damages is the actual fair market value of the horse at the time of the death, injury or onset of lameness. It doesn't matter that the horse was a dear family member - in the eyes of the law, he's worth only what a professional appraiser says he's worth. So the prospective client thinks they've been wronged, but can they prove it? For example, let's say a prospective client buys a horse and exactly one day later, the horse is lame. That doesn't mean the prospective client has a legal case against the seller. The prospective client has to be able to show (a) what is causing the lameness, (b) that the cause of the lameness existed at the time of sale and (c) that the seller knew about the lameness at the time of sale. Generally, unless you can find vet records showing the lameness (and it has to be the same lameness) while the seller owned the horse, the buyer won't have a viable legal case against the seller. If the buyer had a pre-purchase examination and the horse was lame (even slightly) on the day of the exam, the case is generally a non-starter. Generally speaking, each party in a lawsuit pays their own attorneys, with no hope of recouping those costs, even if they win the case. Equine legal cases are no different than any other civil case in this respect. There are two notable exceptions: (a) when the dispute involves a contract that specifically states the winner can collect attorneys' fees and costs from the loser if there's a dispute over the contract and (b) when statutory law specifically provides for attorneys' fees (most common in fraud and unfair trade practices statutes). Otherwise, unless what the prospective client stands to recover in a successful suit greatly exceeds what they can expect to spend in legal fees, the case is a non-starter. Occasionally, a client will tell me that "cost is no object" and it's the principle that's important to them, but in my experience, cost is always an object when the client starts to receive their legal bills. The average active litigation matter at Equine Legal Solutions costs $3,000-7,000 per month in legal fees and expenses, and the average case that proceeds to trial can easily cost $75,000. And no, merely paying a lawyer to send a demand letter doesn't typically achieve the desired result. Clients usually have to sue and pursue their cases for quite some time before a settlement can be reached, and the ability to reach a satisfactory settlement depends completely upon the other side's willingness to be reasonable. In general, I tell clients that their damages must exceed $25,000 before it even makes sense to think about suing someone unless they have a rock-solid case and their ability to collect attorneys' fees and costs also looks rock-solid. It doesn't do any good to sue someone if they have no money to pay you. Lawsuit winners are on their own to collect judgments - courts only help to the extent that the lawsuit winners drive the process by filing liens, serving garnishments and using other collection tools, all of which cost the lawsuit winner out-of-pocket to do. For this reason, I have a private investigator do a background check and asset search on every prospective defendant in a legal case before we sue. If the prospective defendant is in jail, has filed for bankruptcy (or is about to do so), has lots of liens on their property (especially if the lien is held by the IRS), and/or has big outstanding legal judgments against them, the case is a no-go. It's amazing how many seemingly well-off prospective defendants turn out to be leveraged to the hilt. As a general rule, if all of a prospective defendant's major assets have four legs and a tail, that's not a case worth pursuing. Suing someone is highly emotional, and it has the effect of magnifying and prolonging what is already a very difficult situation. Bringing a lawsuit shouldn't cost the prospective client their sanity and well-being, no matter how much money is at stake or no matter how wrong someone was. With years of experience under my belt, I've learned to trust my instincts. No matter how good a case sounds, if I just don't get a good vibe from the prospective client, I don't take the case. I listen carefully, and if the prospective client doesn't tell me the whole truth, keeps interrupting me, argues with my legal opinion, avoids answering my questions, or just sounds like a nutcase, I take a pass. If they're already my client and I discover they're lying to me or they blatantly ignore my advice, I fire them. A wise colleague once told me that knowing what you don't know is the most important part of being a lawyer. For that reason, even if a case seems excellent and I get the warm fuzzies from the prospective client, I don't take it on unless the case is squarely within my expertise and I have enough room in my caseload to do the case justice. If I did otherwise, I wouldn't be doing the client any favors, and I'd be setting the stage for potential malpractice. Therefore, if I have any doubts whether I'm the right attorney to handle the case, I refer the prospective client to another lawyer I trust (and I don't take a referral fee). The kinds of clients I want to have tend to respect a lawyer who steps up and says they're not the right person for the job, and those clients tend to remember me later when they have a matter that is within my expertise.